Editor Frank Scott (FS) from DesignPRWire has interviewed designer Kevin Javier Fonseca Laverde (KJFL) for A’ Design Award and Competition. You can access the full profile of Kevin Javier Fonseca Laverde by clicking here. KJFL: I took this decision when viewing disciplines responding to a question that had bothered me since I was little . How things are maked? Ask commonly performed regarding the use of everyday objects, from a fork until any toy, the object's function changed in the time when the interest overwhelmed me and sought new ways to gloat, this led me to experiment with objects and try to change the status of its material with fire, water etc. I was influenced by the practices of relatives, including uncles and cousins, as they approached me even more to the use of objects and exploring them since i was a child. KJFL: We are an academic working group consisting of two seventh semester students from the Universidad Nacional de Colombia, Palmira branch (Faculty of Engineering and Administration), and two eighth semester students from the Universidad Pontificia Bolivariana, Medellín branch (Faculty of Architecture and Design). KJFL: The design is a tool that help integrate different fields of research (disciplines) and through the teamwork respond with objects or services in a holistic manner. The design should not be oblivious to the dynamics of today, for a majority is being understood as a commercial medium that is focused on the capital system, rejecting his versatile knowledge and tool axis that integrates interdisciplinary way disciplines and in the future can be, thanks to other areas of knowledge, an axis of transversal construction of culture and society. That is why it is important to make the invitation to designers, who exercised, to those who are studying and to those in the future will believe in discipline, for that link between them, as individuals, from the subjective culture, understanding and dialoguing with the context and providing the harmony of the factors that constitute it. KJFL: I like to design and developed project focus on social design that have a positive impact on the lives of people within a community. KJFL: My favorite design is Sonoro: Public sound furniture do to its interaction through sound. KJFL: Display panels for exhibitions for the Centro Cultural Guillermo Barney Materón at Palmira (COL) with a design Collective design collective that I am part named Exhalar, design developed in 2014. KJFL: Alternative materials, reusable materials. KJFL: Everyday when i walk through natural places. KJFL: Over time and through the exchange of knowledge generated by the projects, i understand how to integrate factors not contemplated and this really impact during the design stages. Using these skills, i believe in the goal of processes and design methodologies in line with the problems investigated development, subjective, but often is a tool, can create problems for its biased view of a collective reality. Thanks to the constant communication with the communities where intervened areas, i have in mind the skills and knowledge of the environment when developing projects and comprehensive intervention is carried out, with great potential in the project outcome. Finally an essential factor, i believe in the work ethic which leads to mutual benefit. KJFL: Happiness, anxious, thoughtful, excited, interested, surprise and finally proud. KJFL: Anxious, proud and happy, it depends on the results. KJFL: The transversal construction through different areas of knowledge focus on solve the design opportunity. KJFL: The "design essence", if the project is developed responding to a real need, taking into account environmental , economic and cultural factors in the context in which the intervention takes place. 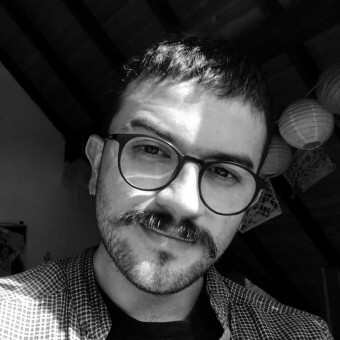 KJFL: About the "design field" in Colombia: In my opinion i think the future of design in Colombia is evident at present, it is in us change it or keep it. Now we are in a phase of transformation in the design of Latin America which we are part. I do not see clearly the future of design, because i think it is under construction, if i emphasize that current generations of design can reach giving a new meaning of the design and thus change the purely commercial perception of discipline and understand it as an element precursor of social change, where is a visible and implicit in the projects area of public, private, civic and environmental nature . KJFL: It was in March 2016, "Sonoro: public sound furniture" at showroom "Antonio Mesa Jaramillo" located in MEDELLÍN/COLOMBIA. I would like to hold the next exhibition during the second half of 2016 with Sonoro and new projects. KJFL: The context is the main inspiration, make a good observation and analysis of the dynamics of context. KJFL: The diversity of cultural factors provides valuable information about the identity of my country. KJFL: Almost always we worked with nonprofit organization, local, national and internacional fundations. I wish to work and win experience with other type of organizations or companies. KJFL: I think it's a matter of the two actors, both designer and entrepreneur. The entrepreneur should value designer work and designer projects should perform implicit in the management and strategy of the company including all areas of operation. KJFL: Life projects - experiences personal, professionals and academicians flowing each day, building with my colleagues. That's the daily. KJFL: I do an invitation to my colleagues or coworkers, students, professionals and those who exercised the discipline. It is important to make the invitation to designers, who exercised, to those who are studying and to those in the future will believe in discipline, for that link between them, as individuals, from the subjective culture, understanding and dialoguing with the context and providing the harmony of the factors that constitute it. We can do much through the design and at this time it is not too late to change the future working together carrying out projects to improve the environment and people conditions. KJFL: Positive is understanding design as a tool for integrating fields of study and negative is believe that design is purely commercial. KJFL: That the project has made ​​a major positive impact in the society and been published. KJFL: It is hard to manage the time but if you don't stop you will lose time with you and your social circle. I manage sometimes doing activities make me think out of my current concerns. KJFL: It depends on the project and the technical specifications. KJFL: What does a designer do? KJFL: Designing and developing project of which I do not have much knowledge, managing and organizing cultural events and social projects. KJFL: Both. Usually i develop projects with academic groups or a work team out of the academic that is named Design Collective Exhalar. Press Members: Register and login to request a custom interview with Kevin Javier Fonseca Laverde.